Lead is toxin and some paint variants comprise this chemical. In fact it was previously found in different exterior and interior paints. 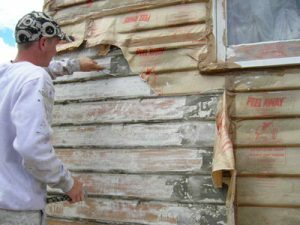 To avoid living in a surrounding which is affected by the presence of this chemical substance, Painters Painters renders you a team of professionals experienced and equipped to handle lead paint removal. They will smoothly do the job to ensure that the work is conducted effectively and that no remains of the substance stays after the removal job.